A huge thank you to our 40 friends who have contributed so far in our urgent matching gift challenge campaign! 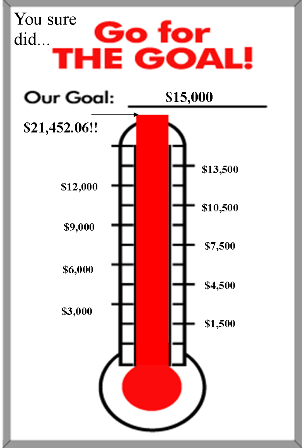 Only three days into our campaign, and we’re already just a few dollars shy of halfway to the goal! From now until Monday, February 6, at 5 p.m., we have the chance for every gift we receive to be doubled, dollar for dollar, up to a maximum of $15,000, thanks to a good friend who was concerned about our need and wanted to offer this matching gift. We critically need your help in whatever amount you can contribute so that we can stay on track with our ministries to save lives, heal souls, and form hearts and minds with the truth of the sanctity of life. Remember, this is a quick turnaround plea. We have one week only for this $15,000 matching gift opportunity. After next Monday, February 6, at 5 p.m., that’s it. No extension. If we get just $9,310, we’ll get a match of $9,310. I’m praying with all my heart you’ll help us reach the maximum goal by contributing the most generous gift you can sacrifice today. We can certainly use large donations, if you are blessed to give a large amount, but we know we can get there with many smaller gifts of $100, $50, and $25. Every amount will be matched -- no gift is too small! We’re almost halfway there. I know we can do it, with everyone pitching in. Please help us get there.